Gandhi was quoting a report by The Hindu published today. He added the Supreme Court judgement clearing the deal is "now in question"
Congress President Rahul Gandhi. File photo. 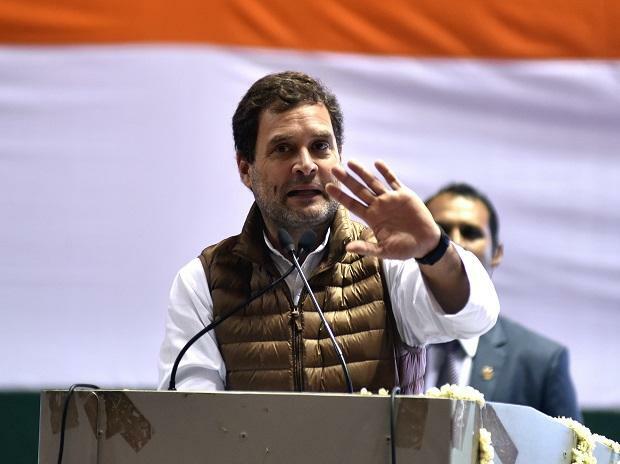 Congress President Rahul Gandhi on Friday said that a Defence Ministry note objected to ''parallel negotiations'' between the Prime Minister's Office (PMO) and stakeholders on the French side on the Rafafe deal, quoting a The Hindu report. Gandhi said that a note written by the Defence secretary commented that talks between the Prime Minister's Office and France weakened the Ministry of Defence's position in the negotiations. The Congress president said that Rs 30,000 crore has been stolen from the country due to the deal. Gandhi added that the Supreme Court judgement clearing the deal is "now in question".